Frightwig and latheofheaven like this. Thanks for the heads up. I'm going to get the Kindle subscription for Long Live Vinyl. I've bought a couple of physical issues, quite enjoyable, even though I very rarely buy records any more (I can't bring myself to call them vinyl ). Like the article where they visit a different city each month and review/show photos of the stores in that place. For £13.00 for the year (£1.08 per issue. ) can't really go wrong. 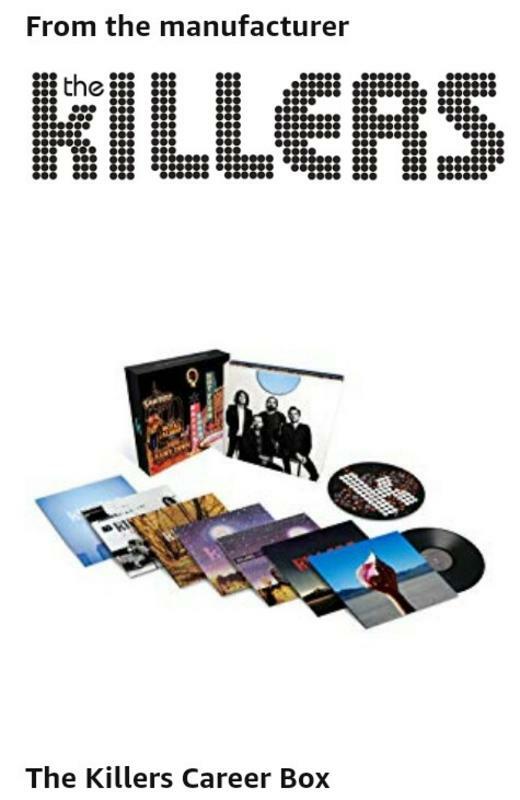 For Black Friday Amazon UK have 3 for 2 on vinyl. It includes box sets: Otis Redding, Satanic Majesties, Dylan bootlegs 1-3, Smiths Queen is Dead, Little Richard Mono etc. (Tick the boxset option on the filter). latheofheaven, Gavaxeman and lightbulb like this. Other mags are on sale such as Mojo (£2.25 a month), Classic Pop (£9 a year) and more. Never heard of it. I subscribed (with free 30 day trial period) as it looks interesting. Note that it's very easy to cancel subscriptions so there's little 'risk' in giving a mag a shot. Yeah, you can get it in most of the big supermarkets and WH Smith. I usually have a flick through and bought a couple. When I first bought it I wondered if it would last but has been around for a little while now. They are a little smug and superior about vinyl (fit right in here. ) but even me as mainly a CD buyer these days can live with that. No Blue Skies likes this. I've subscribed since it started. The early issues were a little cringey - it was definitely riding the wave of the vinyl revival, but it's grown up massively since then. Some really comprehensive, well-written and informed features. I'd question their vinyl reviews a little; slightly overenthusiastic about even the most middling of releases. latheofheaven and wallpaperman like this. PTgraphics, SJP and latheofheaven like this. Nice Marillion set, good deal. I got mine for $26 and have been very pleased. PTgraphics and imarcq like this. Apparently the dvd/Blu-ray is amazing...I think this 4LP vinyl set was a RSD release initially. I still need to pick up the Blu Ray. Dubmart and black sheriff like this. Uncut £1.25 a month (Amazon digital subscription). All Down The Line, latheofheaven and superstar19 like this. That is a great deal for anyone who does not already have this 2 LP + 2 hybrid-SACD set. RiRiIII and latheofheaven like this. That's £4.14 GBP per album! aoxomoxoa, Gavaxeman, Juggsnelson and 3 others like this. $36.28 shipped to the US. Great price (about half of best price from US). aoxomoxoa, RiRiIII and latheofheaven like this. Just grabbed this - amazingly good price. Many thanks. The reviews on Amazon uk seem more positive than the .com ones re pressing quality. Different US/UK pressings perhaps? FLF and latheofheaven like this.